Last weekend's WND column, The Tyranny of Socialization, got picked up by several places. Here's the St. Augustine Classical Academy newsletter. 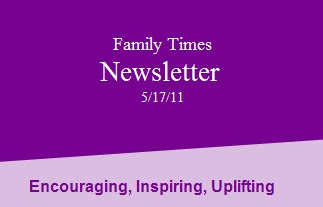 A friend alerted me to a mention in the Family Times Newsletter. Then a blog called Paradigms and Demographics picked it up as well. Thanks for the link, Patrice! Late comer to the socialization debate (from land of Oz). I too homeschooled my children and was subject to so many people who, without even thinking, opened their mouths and voiced "what about their socialization?" and "don't you worry?". I would say "think of a school room. In what way does a bunch of eight year olds doing eight year old stuff with a whole lot of eight year old equal socialization? Wouldn't by definition, socialization equal young people being able to interact with all walks of society from the very small to the elderly with structured programs to enable this? And in what way do you judge their socialization/ interaction skills? Just give me a check sheet that I can tick off to inform you of their social skills." After that their inevitable answer was "well, don't be like that....."
Sacred cows do not slaughter quietly but at least I could invoke some thought process into the socialization debate. Cheers from the oz outback.